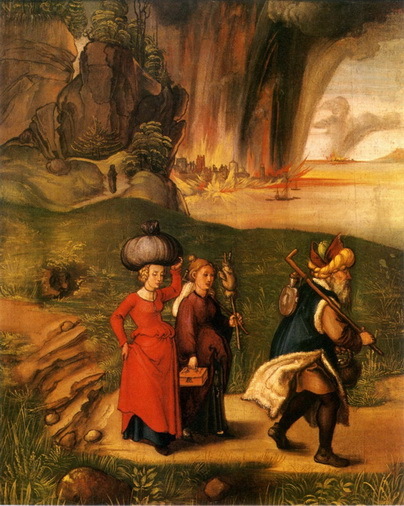 After God destroyed Sodom and Gomorrah, Lot and his two daughters came out of the small town called Zoar and went to live in a nearby cave. Now the two daughters of Lot were without children. So they got their father drunk with wine that night. And Lot’s oldest daughter went in to lay with her father. Lot was so drunk that he didn’t know when she lay down and arose. And so the two daughters of Lot made their father drink wine that night. This time, Lot’s younger daughter went in to lay with him. Again, Lot was too drunk to realize when she lay down and arose. Thus, Lot’s daughters became pregnant through their father. The older daughter gave birth to a son and called him Moab. Her son Moab is the father of the Moabites. The younger daughter also gave birth to a son. She named him Ben-Ammi. Ben-Ammi is the father of the Ammonites.